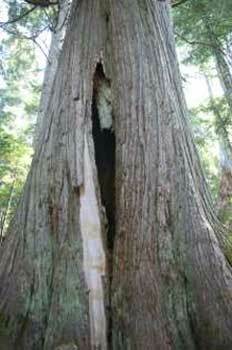 Home to some of the oldest trees in Canada. 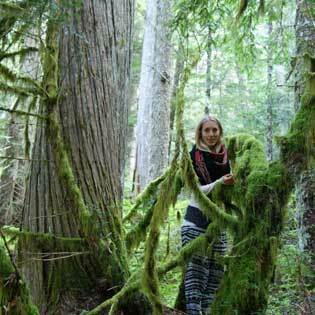 This forest is a ‘time capsule’ of natural and cultural features including at least 33 Culturally Modified trees. Logging these forests will destroy one of the best bear habitats on the Coast. 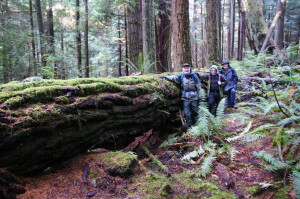 Wayne McCrory – one of Canada’s leading conservation-biologists, has completed an ecological review of the 2,000Ha lower Elphinstone forests that is the subject of a park expansion & protection area. Wayne conducted field studies, compiled and analysed existing data and has now completed a break-through report on our Elphinstone forest. 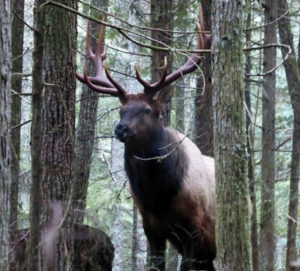 He makes a compelling case for protection of this lower elevation, emerging old-growth forest. To avoid creating 'islands of extinction' due to having 3 isolated park zones as is the present case, McCrory's recommendation is to secure a 2,000Ha zone that will provide adequate buffer zones for the 3 park parcels, and in doing so help to maintain the viability of this blue-listed ecosystem. On the northwest slopes of Mt. 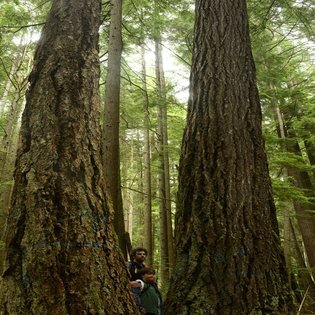 Elphinstone, in Squamish Nation's traditional lands, this forest lies between 2 Wildlife Habitat Areas (WHA) and is the home of 1000+ year old endangered 'Ancient' yellow cedar trees, the endangered Marbled Murrelet, the black bear and countless other animals and species. In addition to destroying these highly prized values, clearcut logging now scheduled, would split this WHA in half and pose a high risk to downstream fisheries and water users on the lower reaches of Roberts Creek. Sunshine Coast residents and all concerned citizens must now act quickly to save this forest before it is too late. Home of many of the 'Oldest Trees in Canada' these forests are truly living monuments to the past, present and future and therefore should go into a special category of ‘Ancient Forests’ and be preserved forever. Similar to the Caren Range that was saved as a Park in the 1990s the Dakota Ridge Forests are not just 250+ years old (the definition of old growth), but these majestic trees are more in the range of 1,000-1,500+ years old (at this altitude the snow pack is in excess of 16 feet, the yearly growth period is short with approx. growth ring diameter measurement to age count of 1cm=10 years). 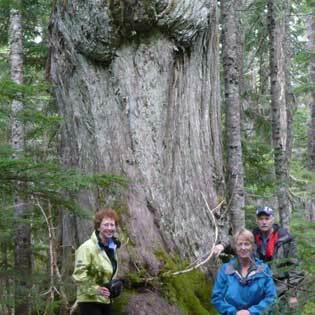 In fact, one of two newly discovered 'Giant' trees, the 'Giant Twin', could surpass the Caren Range 1,835 year old tree and be the longest-living tree on record in Canada. Home of many of the 'Oldest Trees in Canada' these forests are truly living monuments to the past, present and future and therefore should go into a special category of ‘Ancient ' Forests and be preserved forever.